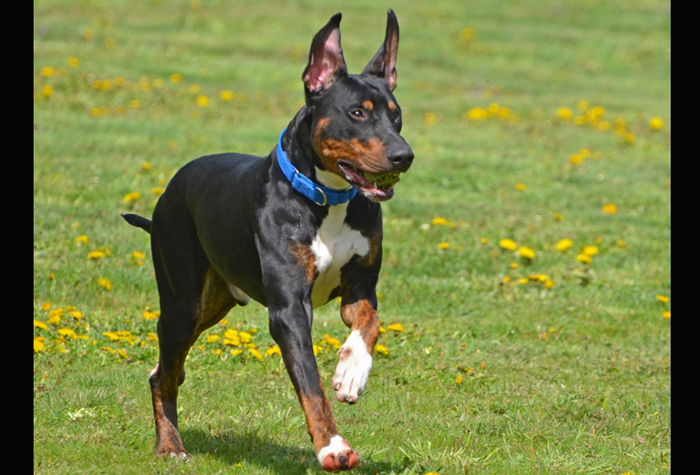 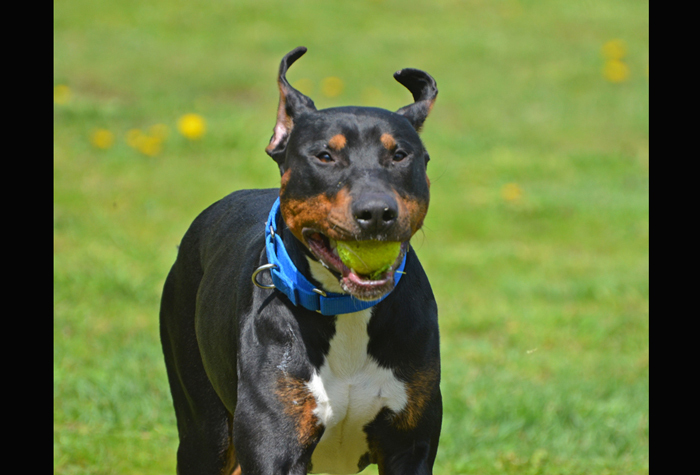 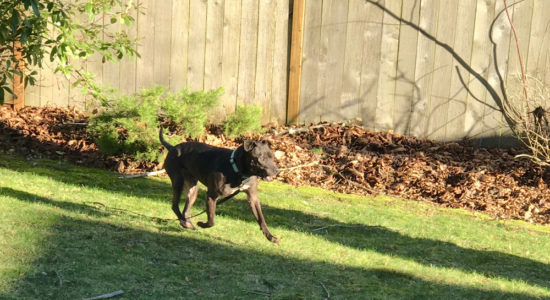 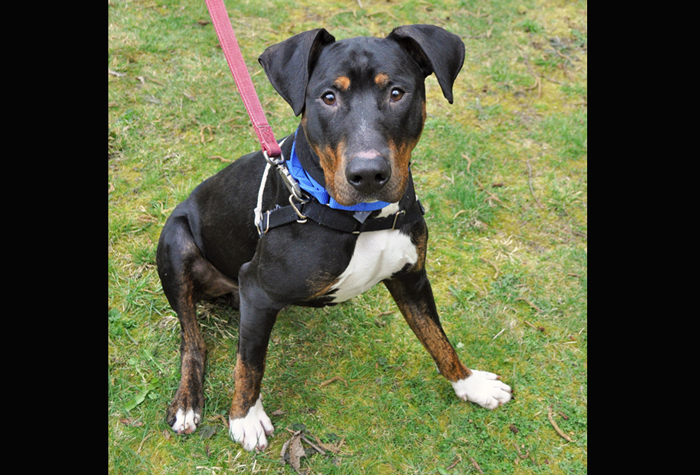 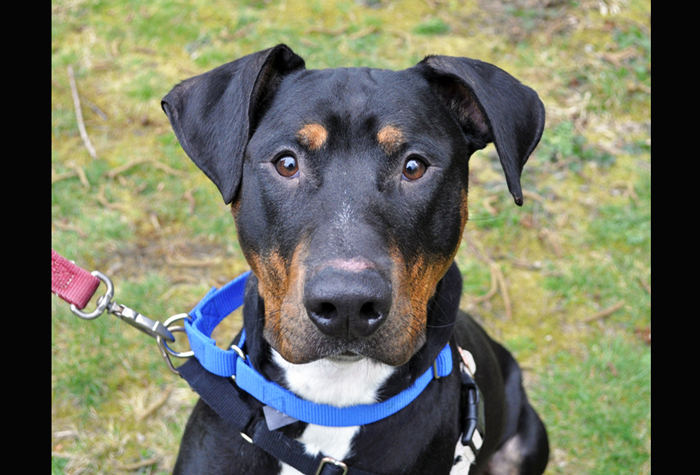 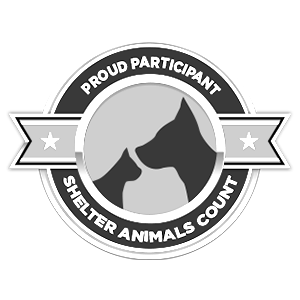 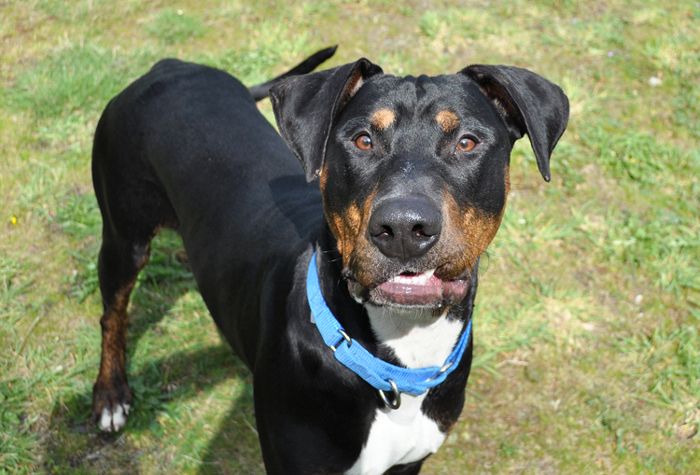 Two-year-old Sully is a big playful, gentle, energetic, and very friendly Doberman mix. 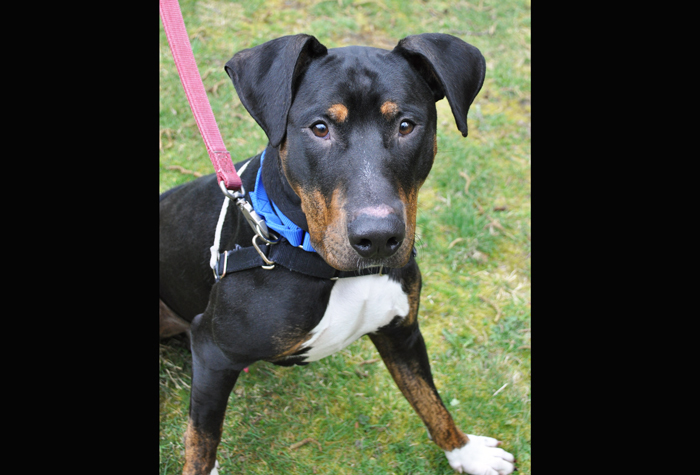 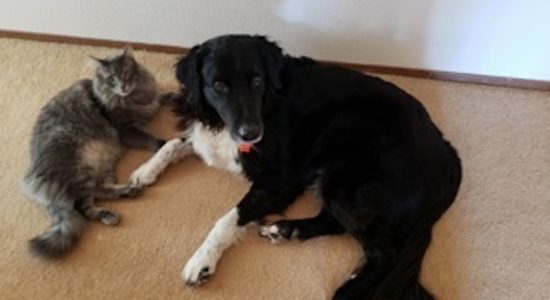 He knows how to sit and he reportedly gets along with kids. 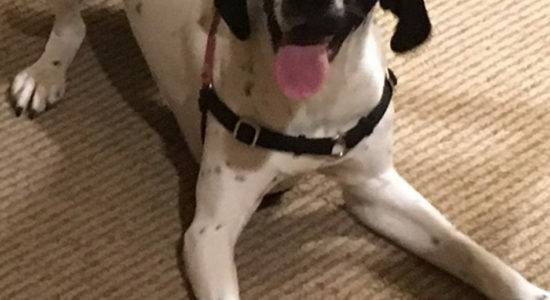 Sully weighs 78 lb.